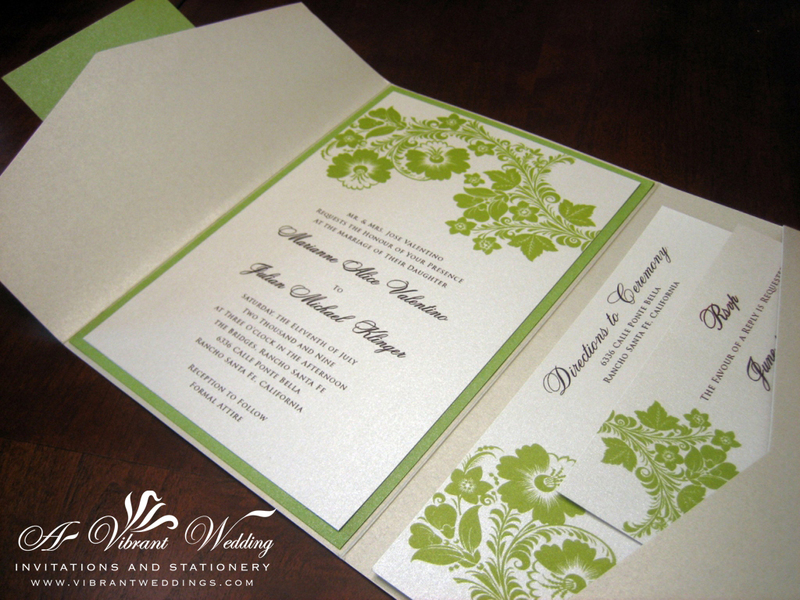 $8.00 per invitation suite fully assembled, for set of 100 invitations. Please contact us for an estimate on any quantity less than 100. 5×7″ Champagne/Gold metallic Pocket-fold style invitation with a double-layered outer seal, Eggplant/purple matte border, printed on metallic Ivory card-stock paper. 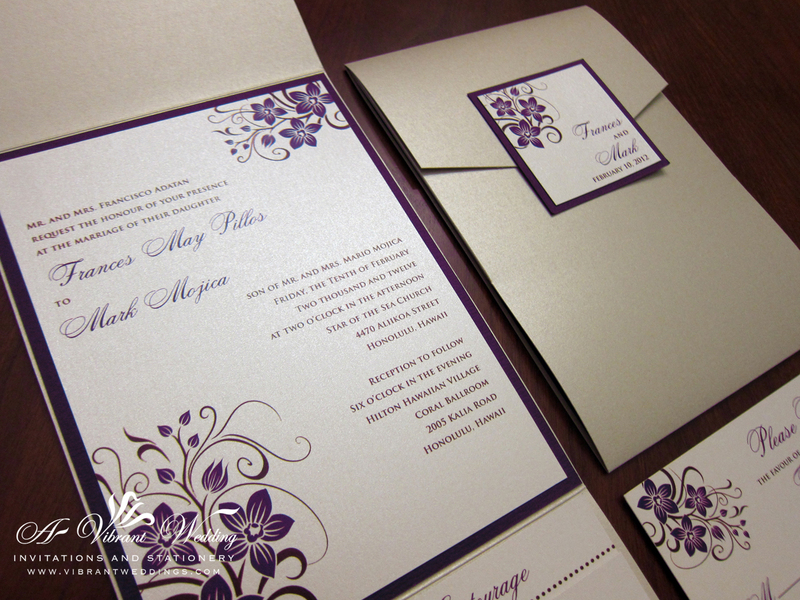 Double layered inside invitation (two sheets of card stock paper assembled together). 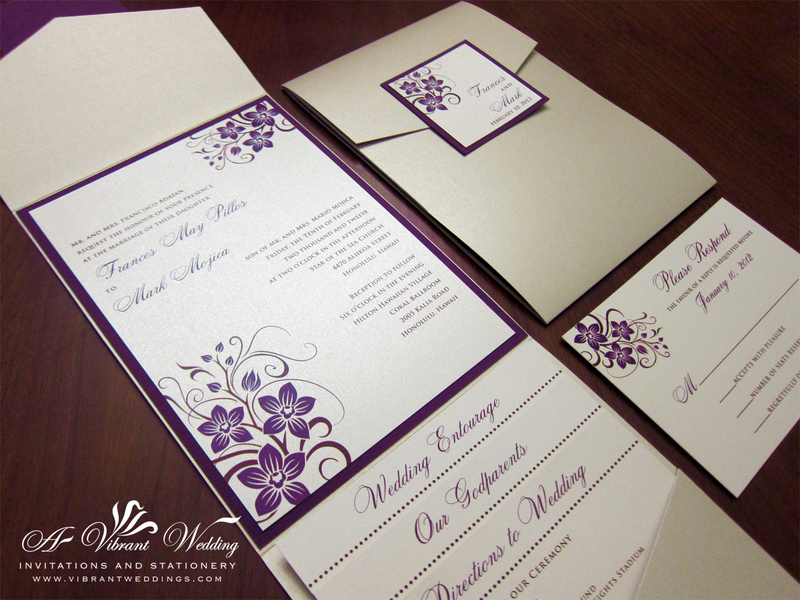 $8.00 per invitation suite for a set of 100 invitations, fully assembled. Includes the Response card and two blank Champagne metallic envelopes. 5×7″ Champagne metallic Pocket fold, Metallic sage green border card stock paper, printed on metallic Ecru card-stock paper. 5×7″ Pocket fold style with outer seal. 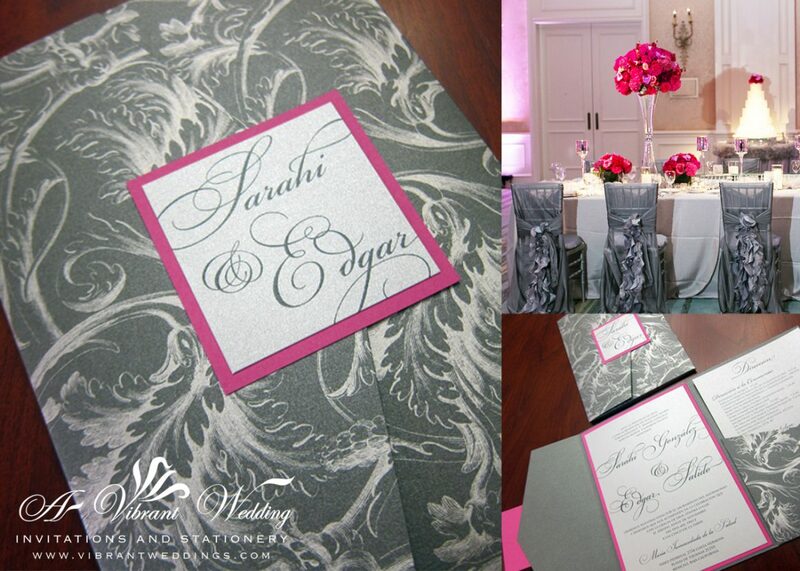 Double layered invitation (two sheets of card stock paper assembled together).